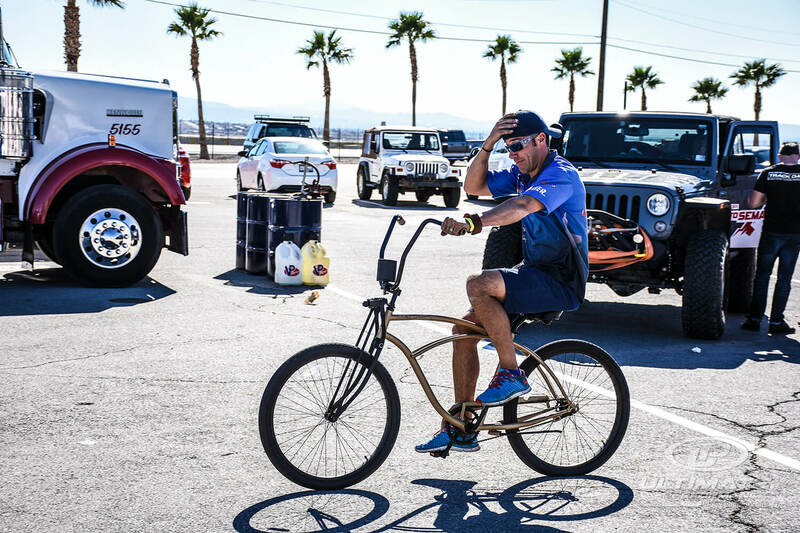 LAS VEGAS, NEVADA – The Las Vegas Motor Speedway was home to the final and most sought-after event of the USCA Series, OPTIMA’s Ultimate Street Car Invitational, on Nov. 4-6. Ultimate Performance was proud to represent our partner brands and assist our drivers competing in the speed stop, autocross and road course competition. Each year, Ultimate Performance works hard to ensure our drivers not only qualify for, but perform at their optimal level at OUSCI. That hard work paid off this year as UP drivers made up 1/3 of the 86-vehicle field, and took seven of the top-10 positions, including first and second place. Congratulations to Danny Popp on his fourth overall and third-consecutive OUSCI championship, both first-time achievements in OUSCI history. Ultimate Performance driver Ken Thwaits’ EVO spent the week on display in the Wilwood booth at SEMA before rolling into competition at OUSCI. With his newly developed JRi Shocks, Ultimate Performance suspension and Wilwood prototype brake package, Ken made incredible design and engineering modifications to make his EVO stand out. As Saturday came to a close, Ken was leading the event over Danny Popp with a win in the speed stop challenge and a second-place finish in the autocross. Going into Sunday with lots of momentum and high hopes for victory, Ken and the Showtime Motorsports crew were set back when the engine blew on the first lap of the road course competition. Thankfully, with the help of a fellow competitor, Ken was able to borrow the cylinder head off another EVO to make it out onto the track for the final session. 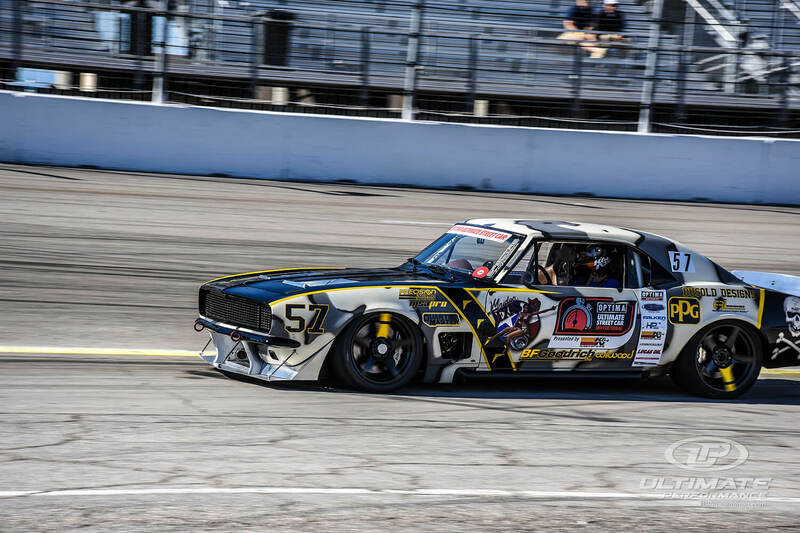 Down more than 100 horsepower, Ken still managed to run a lap in the 1:49-second bracket, placing him sixteenth overall on the road course and securing an outstanding overall second-place finish. Mike DuSold had a solid fourth place run in his 1967 Camaro followed by Mike Maier who had to make repairs between the speed stop and autocross. Karl Dunn in his JCG Restorations C5 Corvette placed sixth. Kyle Tucker was in great standing after day one. On Sunday, however, road course debris caused a broken hose on the right-front shock. JJ swiftly jumped in to repair the damage and get Kyle back out on the track for the last session. Kyle was able to take home a seventh place finish overall. Rounding out the top-10 was GTV Class champion Jake Rozelle in his 1969 Camaro. Congrats to all UP drivers and OUSCI competitors and thank you for a successful 2016 season. We look forward to 2017.